Hamas criticizes PA for resuming security coordination with Israel, says it is the "greatest danger" to the Palestinian people. Hamas on Thursday blasted the Palestinian Authority (PA) for resuming security coordination with Israel. On Wednesday, the head of the PA police, Hazem Atallah, confirmed that security coordination had resumed with Israel, after being partially suspended in July. "Everyone is coordinating now. That means things returned to what they were before July 14," Atallah said. "Things are normal now." PA chairman Mahmoud Abbas froze the security coordination with Israel in July, in protest over security measures at the Temple Mount. Eventually, Israel decided to remove the metal detectors from the Temple Mount and replace them with security measures based on advanced technologies, following Arab protests. Hamas, which blasted the PA's security coordination with Israel, just recently signed a reconciliation agreement with its longtime rival Fatah, which is headed by Abbas. Since the agreement was signed, Hamas has sent a high-ranking delegation to Iran, where its deputy leader, sanctioned terrorist Salah Al-Aruri, declared that the group would never agree to sever its ties with Iran and give up the armed struggle against “the Zionist regime”. 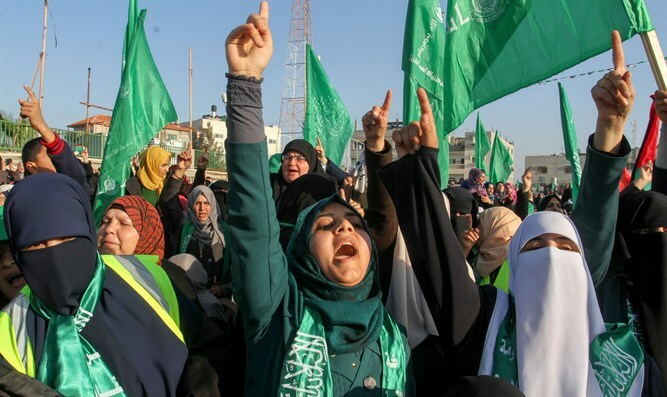 The move was in blatant disregard of Israel's demand that Hamas recognize Israel, disarm, and sever its ties with Iran before Israel negotiates with the PA unity government.